10% of all CD sales from this website will support Jessie's Fund, a UK charity helping children with additional and complex needs through the use of music. Jessica George was nine years old when she was diagnosed with a rare and inoperable brain tumour. She was lively and bright, and very musical. In response to her plight funds were raised to finance treatment for her abroad. Sadly, Jessie died before the money could be put to its intended use. The funds raised for Jessie provided the starting point for Jessie’s Fund (named by Jessie herself), which became a registered charity and which helps children with complex needs through the therapeutic and creative use of music. 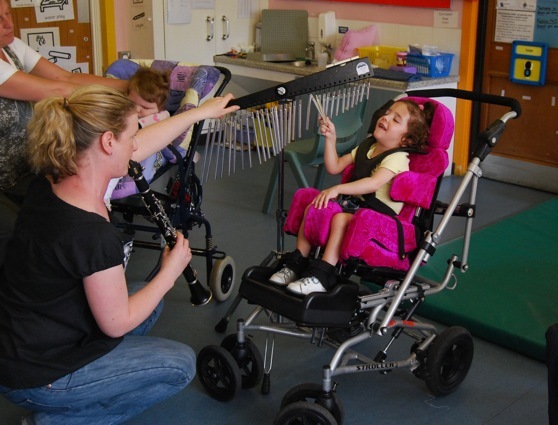 Jessie's Fund has now equipped all 45 children’s hospice services in the UK with musical instruments. In addition, they’ve so far established posts for part-time music therapists at 34 children’s hospices, and also provide tailor-made training courses to help those working with life-limited children to use music creatively with them. Soundtracks, the name of the charity’s national programme in special schools, gives children the chance to take an active part in music-making and provides staff with training and resources to use music more extensively. Through this programme children increase their communication, concentration and turn-taking skills. Most importantly, the work enables the children to participate fully in music as a source of fun and enjoyment; such opportunities are very limited for children with complex needs. Through Jessie's Fund children throughout the UK can have the opportunity to experience the life-enhancing spirit of music.